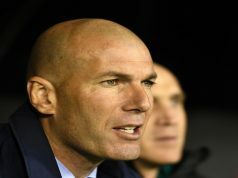 Real Madrid will have to win in the second leg of the semi-finals of the Champions League after losing 2-1 at Turin. 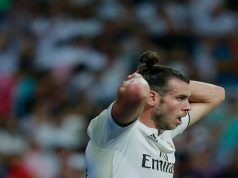 Los Blancos played a poor game and could have even suffered a bigger defeat. Goals from Alvaro Morata and Carlos Tevez gave Juventus a hard-fought win, but Cristiano Ronaldo’s goal gives Real more chances of qualifying. Los Merengues suffered a nightmare during the first minutes as Juve were very intense from the start and exerted a high pressure on their rival. It only took the hosts eight minutes to take the lead as Morata converted from close range after Casillas had palmed Tevez’s effort straight into the path of the forward. Ramos played a terrible game, losing many crucial balls, and one of his mistakes could have cost his side a second goal when he conceded possession once again, but Tevez’s low effort hit Sturaro. Los Blancos levelled before the 30-minute mark thanks to a great play from Carvajal and James Rodriguez. The Spaniard sent the ball into the box towards the Colombian, who sent a superb cross into Ronaldo. The Portuguese headed home from close range. Real started controlling possession at that point and had a stunning chance to make it 1-2. A brilliant collective played ended up with an Isco cross onto the head of James, but the Colombian smashed the crossbar when facing the empty goal. Juve didn’t look threatening at the start of the second half, but they got lucky in a counter attack as Tevez fell inside the box and the referee indicated penalty kick. The Argentinian coolly converted from the spot. Real started to play nervously after Juve’s goal and the hosts focussed on defending, introducing one defender more. The visitors didn’t have any clear chances to level and the Italians could have even made it 3-1, but Fernando Llorente was not precise in his two chances.